Balance the curtain rod on the backs of two chairs while you work on the project. 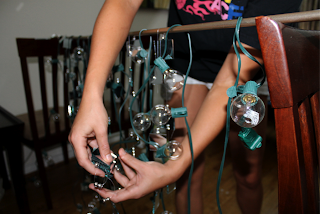 Duct tape the edges down so that the rod wont move as your as decorating it. 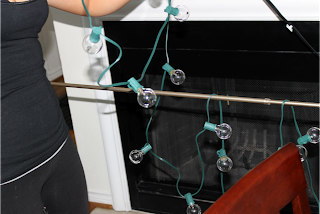 Start by wrapping the lights around the curtain rod. You can hang the lights at whatever lengths you would prefer, however we recommend hanging them at various lengths to give it some variety. 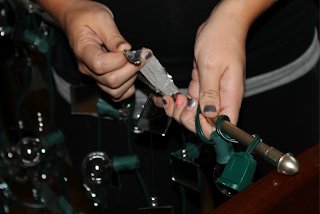 Take small pieces of duct tape to tape the lights down to the rod so that they will not move. 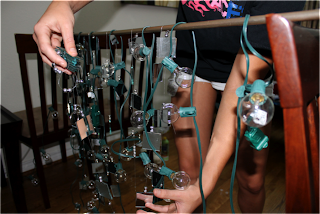 Next, wrap the mirror garland around the pole. Again, you can make them whatever lengths you like, but we recommend varying the lengths. 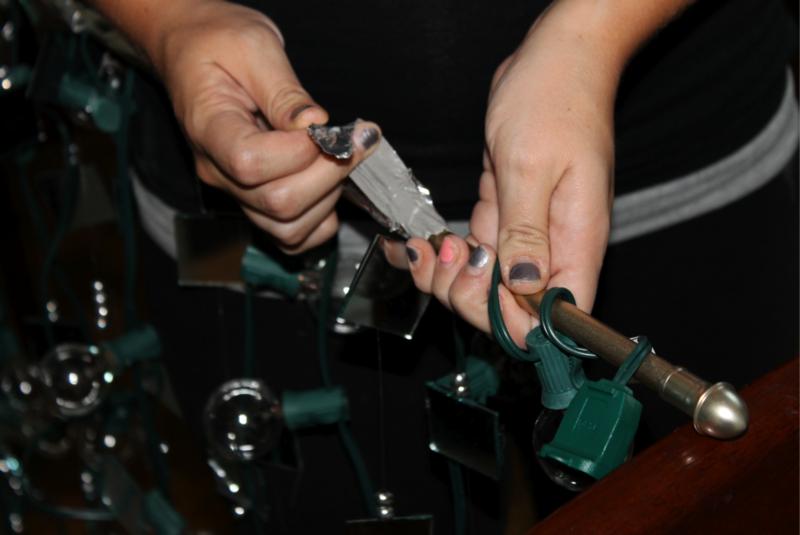 Duct tape the mirror garland down to the rod to hold it in place. 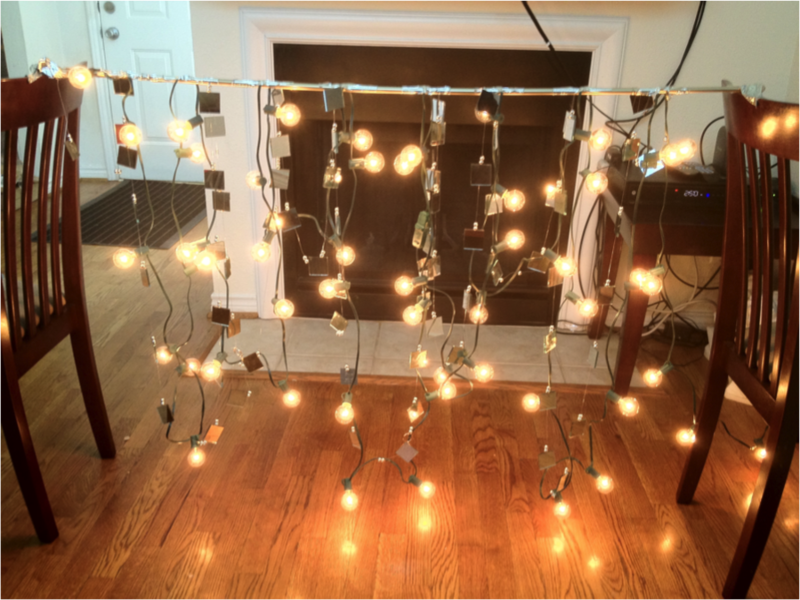 Hang the hooks on the wall where you want your decoration going. Hang up the curtain rod, plug in the lights, and enjoy your new funky wall art!